Sleeves or spaghetti straps? I think I’m leaning more towards the sleeves but I really like the straps. ACK. That’s it, I’m just going to have to make two Molly Ringwalds. I have a couple of projects that I’ve finished, but not exactly finished. The second hemlock ring blanket is done but I haven’t blocked it. If you’ve made one and blocked it, you probably understand my hesitation. 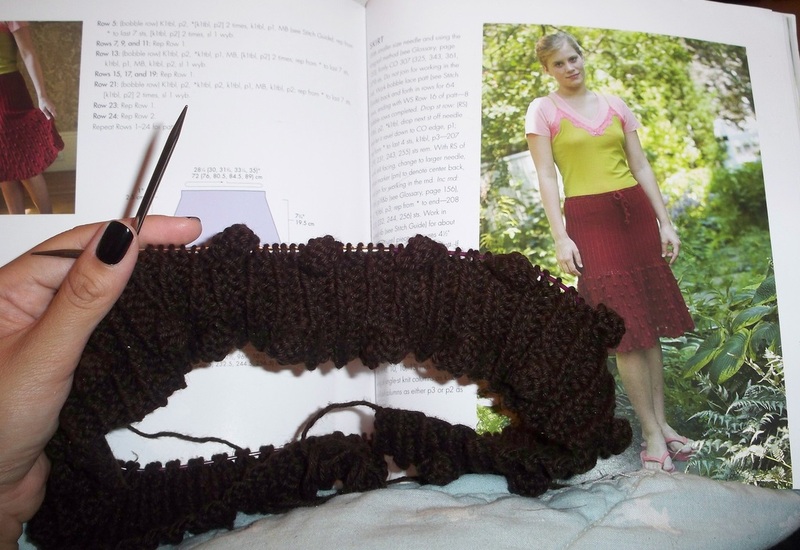 It’s quite an undertaking, probably moreso than actually knitting it. 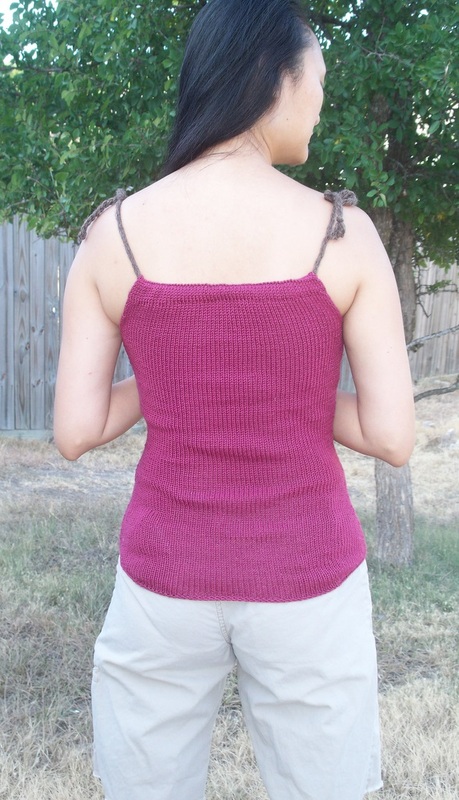 I finished Raspy but after trying it on I realized I needed to rework the neckline so that the back has more height than the front. I’m also not completely sold on the sweater. It’s nice enough, maybe once it is washed and dried it will be more appealing. 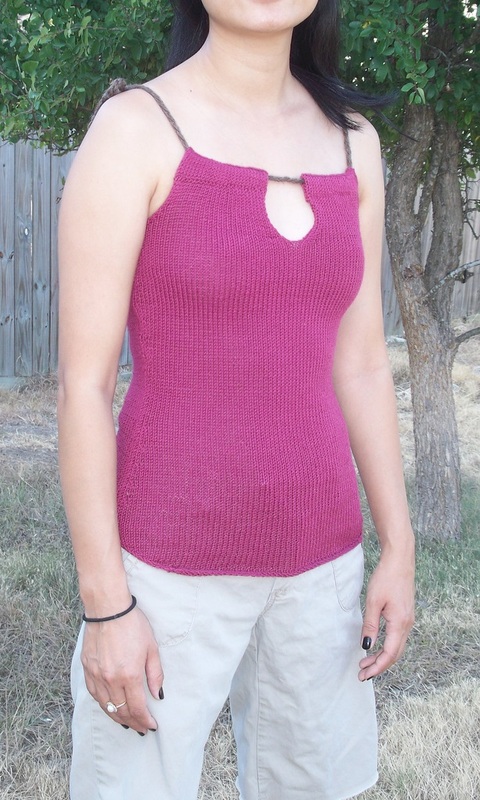 Even though I made modifications, it is still pretty loose and I’m not a huge fan of loose fitting clothes. I did start Molly Ringwald. She’s lovely so far and I love the color. 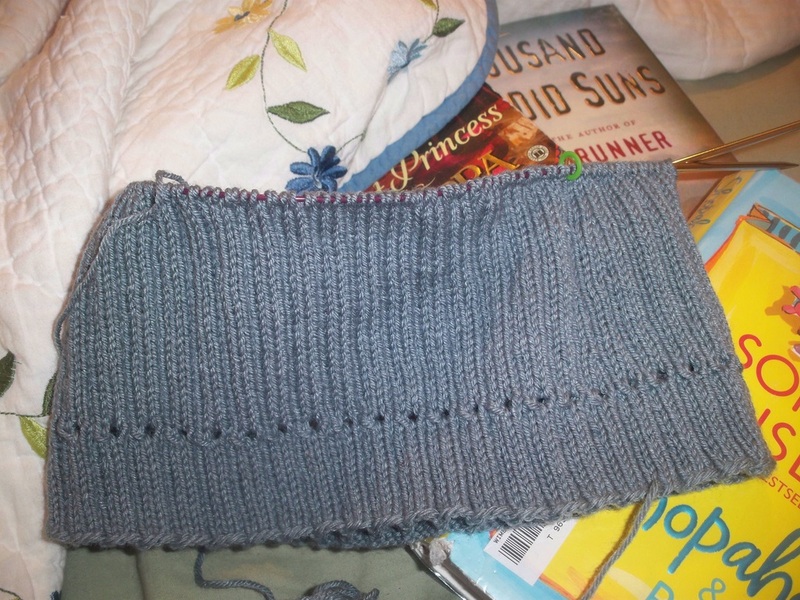 I realized while going through all my works, I don’t knit with blue or green nearly enough. Well everyone except us. Firecracker/works ban in our town due to the burn ban which is at high or maybe even something above high like eminent or whatever. Either way the consequences are dire if you’re caught, the imperative word being “caught” with fire inducing contraband. It wasn’t spelled out in the letter taped to our front door but it is Texas and if the laws to be have no problem putting mentally ill people to death, I’m pretty sure they won’t have any qualms putting burn ban breaking criminals to death. Oh and Happy Fourth of July! Enjoy your fireworks and your firecrackers and all that jazz while we here in central TX go without. We are so deprived. Knitting with lace weight mohair blend yarn. Hahahaha. 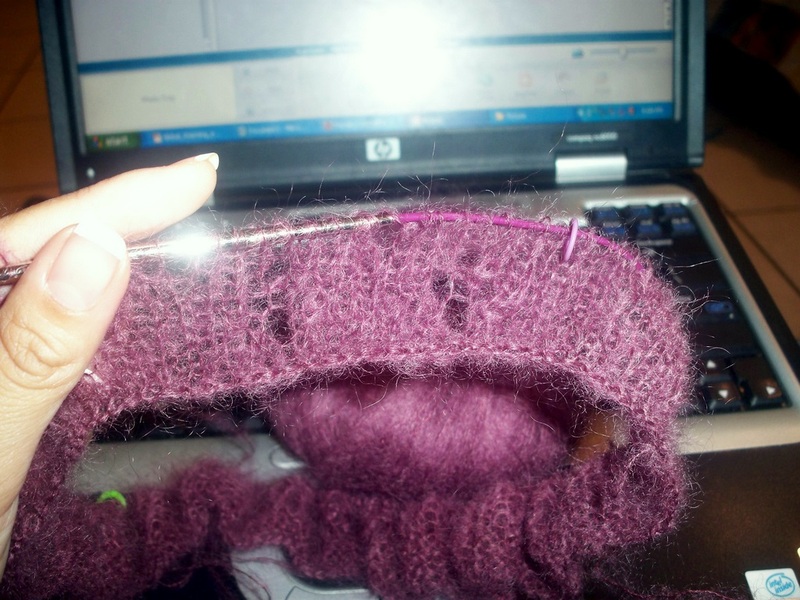 It’s funny because it’s certifiably insane to knit with lace weight mohair yarn. 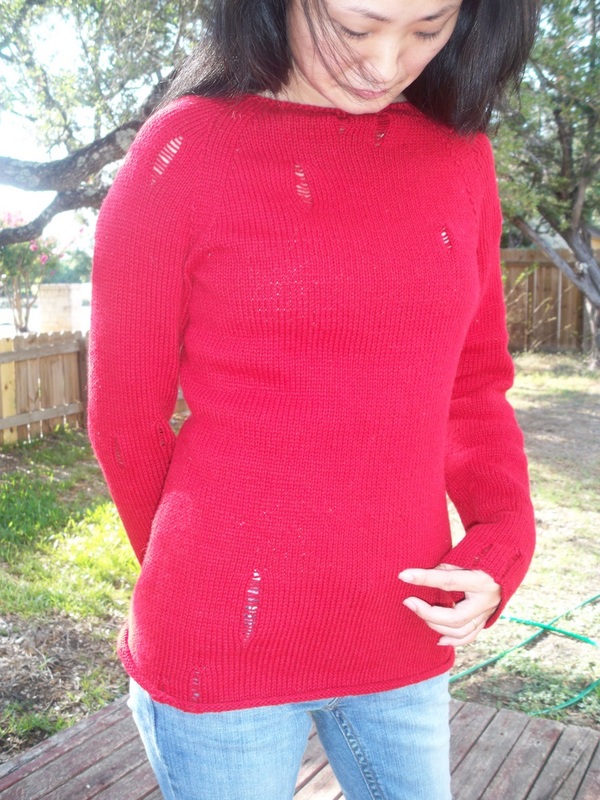 In fact, I’ll go out on a limb and say it’s certifiable to knit with any weight yarn that has mohair. It’s going to be real purty though!